Even though it has been a month since I started working, I still feel excited about finding an internship in Turku UAS. There is always that delight to be going somewhere new; especially after a tough academic year in Helsinki Metropolia with the hustle and bustle of the city life, an opportunity to get way is priceless. I keenly look forward to a career in waste and water engineering; development projects related to my studies in my country Ethiopia are my main aspirations. I have seen many development projects from different countries working in Addis Ababa on roads, toilettes, ICT etc…; the improvements and implementations they made lasted for only a short while. Thanks to a dear colleague Mia O’Neill from my previous internship in Sykli Suomen ympäristöopisto; I have come to realize that one cannot force a change on a society; the society has to make the changes themselves; if the changes owe to stay. The society has to understand and believe the need for the improvement to be made. It is only when they know that the infrastructure before them is there to serve them and it is their possession to take care of; that they will work to make the changes stay and continue the improve them. The answer lies in the attitudes of the people. The only tool that one can use to influence the attitudes of the people is with Education. It has been almost a century since modern Education has been introduced to Ethiopia; both the number of institutions and graduates has been increasing ever since. However, it is clear to see that the changes sought have not yet occurred; and the reason has always puzzled me. I think I have found my answer when I received my tasks for this summer internship to search for ‘Motivating teaching methods for online studies’. I was given two booklets to read beforehand. They were titled ‘Research Hatchery as a cradle for new innovators’ and ‘Towards active and working life orientated learning’. The idea of teaching students while preparing them for the working life sounded to me like the fundamental answer. Efficiency at the work place cannot be learned through theory; it can only perceived through experience. 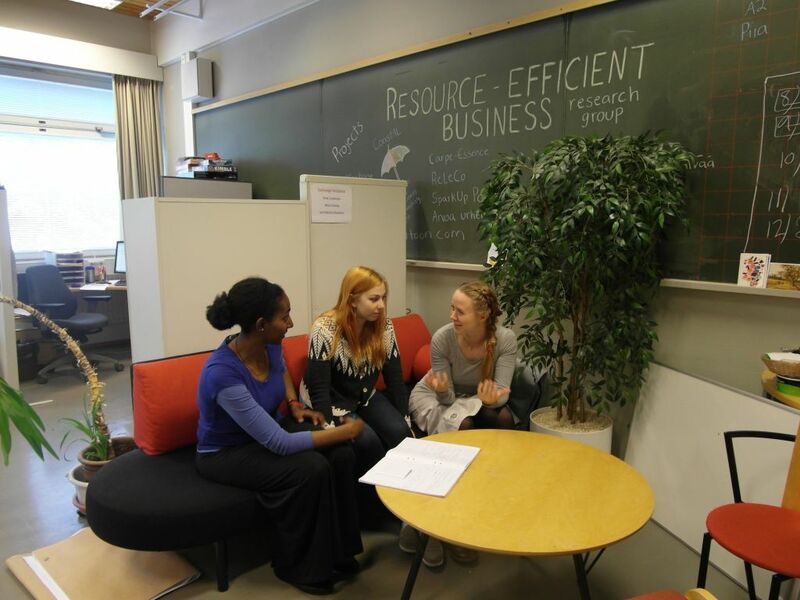 The innovation Pedagogy which was developed in Turku UAS has the right method to make sure that the students will graduate to be effective workers. I am grateful for this opportunity to experience the work environment and learn more about different teaching methods. I have found a cozy desk with friendly and co-operative people to work with. I look forward to work, contribute and learn with the rest of the time I have left.